YouthSpeak Forum is a premier event that brings young leaders, business, government and NGO representatives to form a diverse cross-sector for inspiring conversations. It is an environment for gaining new perspectives on projects to achieve the Sustainable Development Goals (SDGs). 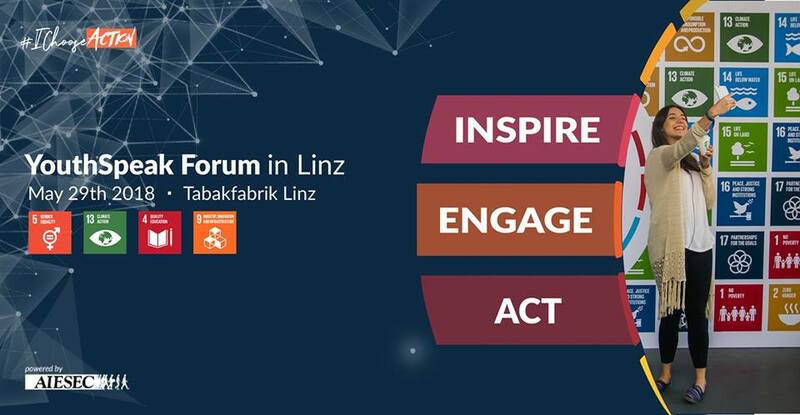 During the Forum, delegates will BE INSPIRED by keynote speeches from the United Nations Industrial Development Organization (UNIDO), the Vizerektor of the JKU and different companies. Later on, delegates will BE ENGAGED by attending workshops based on the SDGs chosen. Finally, delegates will TAKE ACTION by developing projects to tackle the SDGs. It is upon us to take the first step towards a sustainable future!